Looking for ways to pay less for your lighting? Do Your Part and make energy efficient lighting choices. You’ll save energy and money – at the same time! You’ll need to know your options – and know what bulb works best where. One example of an energy efficient light bulb is the halogen bulb. They are usually shaped like traditional light bulbs but last 25% longer. They can be used in wide variety of fixtures – including ones with dimmers. However, they do give off a lot of heat. In fact, some floor lamps that take high wattage halogen bulbs are considered fire hazards. Then, there’s the CFL – or compact fluorescent lightbulb- which come in a wide range of color options. They’re designed for hours and hours of use and last ten times longer than a traditional light bulb. But they generally don’t last long in fixtures that are turned on and off for short periods of time. 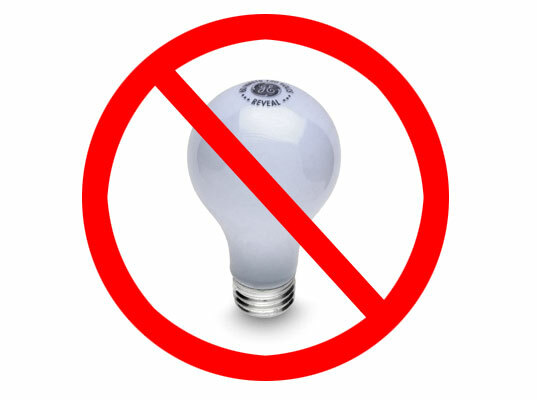 You also don’t want to use a CFLs in dimmable, recessed or 3 way lamps unless it is specifically designed for that use. CFLs do contain a small amount of mercury, so they can’t be tossed in the trash. You’ll need to find a qualified recycler to take your used bulbs. And if one breaks in your home, don’t panic. You can find step-by-step directions to safely clean it up at EPA.gov. Your third choice is a LED bulb. LED stands for Light Emitting Diode. Energy-Star qualified ones last up to 25 times longer that incandescent bulbs but use only a quarter of the energy! Most can be used in all types of lighting fixtures. They’re usually your most expensive option but the costs are coming down. We at WhyGREENPower have switched out our homes to CFL lights where lighting is infrequently used and LED lighting where we have moderate to excessive use. By doing this we are not only saving energy but it is distinctly noticeable with reducing GREEN Power demanded from our solar and wind system. When you pick a better GREEN Power bulb, you’re not just saving energy and time – you’ll save money, too. What a bright idea!